Crime is a constant feature of video games writing. Somewhere, someone is doing something illicit with them—sometimes comically stupid, sometimes tragic. Games and consoles are currency, objects of dispute, sometimes even weapons themselves. 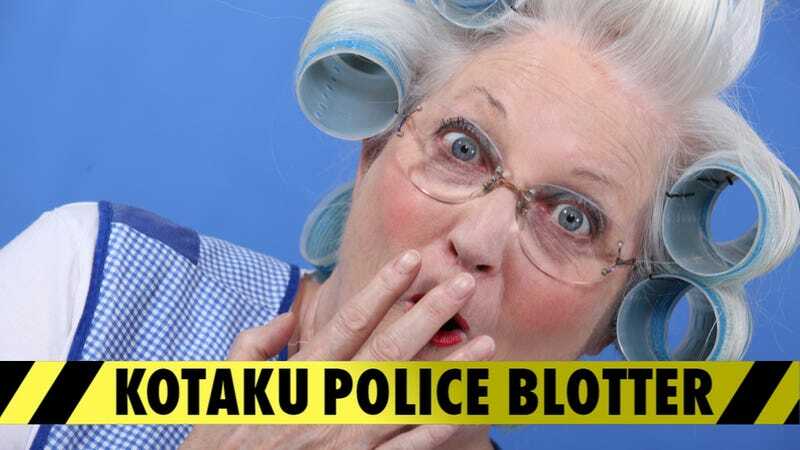 Kotaku's Police Blotter is here to round up the latest in games crime. How'd They Fit Under His Shirt? Lots of strange things happen in the pages of your local newspaper or on the 6 o'clock news. If you see something, say something. To me, that is. I'd like to write it up. Remember: You need not reveal your identity.